Palawan as the country's last frontier is more than just hype. 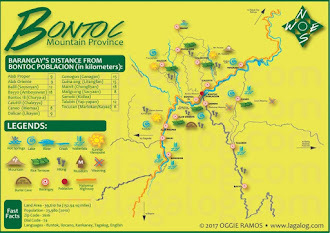 Even the casual observer can see why it is so from the aerial view of the island group alone -- mind boggling to know that 1,768 of our 7,102 islands can be found in this group sharing lattitude as far north as San Jose, Mindoro and as far south as Pagadian, Zamboanga. 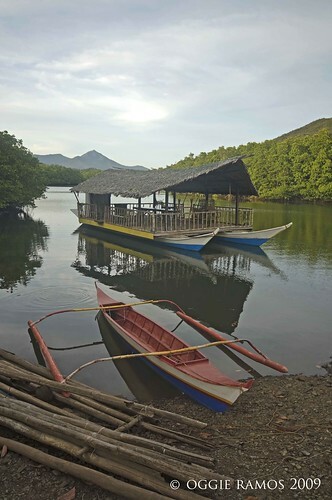 Puerto Princesa, the capital, is one of the more accessible places here, just a 45-minute plane ride from Manila which makes it an ideal starting point for any environmental and community development project. 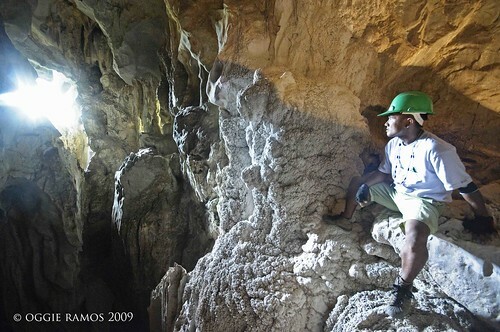 For years, tourists have been visiting nearby resorts, exploring the St. Paul Subterranean Park and the Sabang Underground River, before moving on to dive in Coron or Taytay. 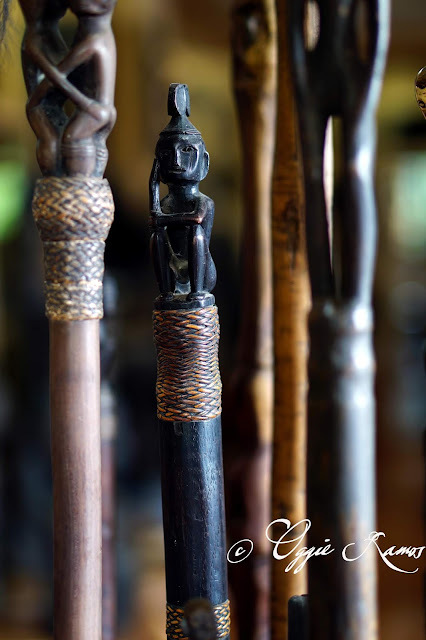 Perhaps, it was high time to introduce other tours because truth to tell, there's a lot more to Puerto Princesa than these. However, I say this with caution, hoping that more development wouldn't come with environmental degradation as a price. This is why the efforts of ABS-CBN Foundation's Bayanijuan comes across as commendable. during our trip, we've seen new ecotours that are environmentally-sound and also beneficial to the locals. 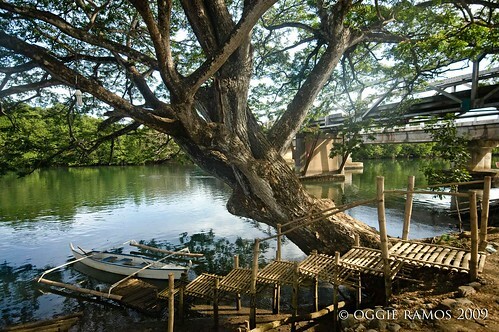 • BACUNGAN RIVER TOUR - Bohol may have its Loboc river trip but Bacungan has its own charming tour. Picture this: you sail on a floating restaurant and meander through kilometric stretches of clear waters and mangrove-lined banks. meals of seafood and native delicacies are served onboard so lazing the morning or early afternoon away is no problem. 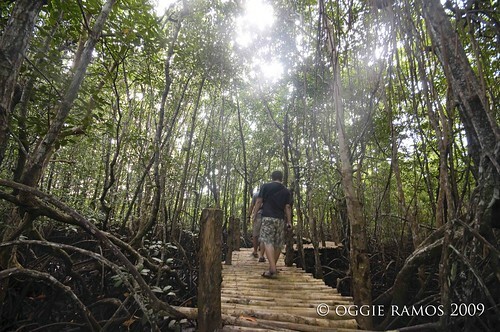 Going upriver, there's a stopover at the mangrove boardwalk where one can go deeper into the mangrove forest while attempting to ward off pesky nik-niks (sandflies) and aggressive mosquitoes. Going downriver, one can arrange for a trip to Pambato Reef if the fickle weather and waves allow it. INFO: Bacungan is located over 20 kms. away from city proper • travel time: around 1 hour via 4x4 vehicle • fees: river tour costs Php3,500/minimum of 10 pax inclusive of native snacks and coconut refreshments. an additional Php150/pax is charged for buffet lunch. 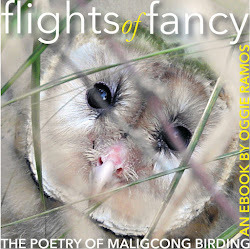 • IWAHIG FIREFLY & BIRDWATCHING - there's more to Iwahig than its penal colony. On a strip of land by the Iwahig River, a camp was built for taking guests and visitors birdwatching during the daybreak and sunset hours, firefly watching at nighttime. There are huts for meals, organic toilets that use rice husks to make compost, and a large ground that's ripe for overnight campers who come equipped with tents. Towards sunset is a good time to observe birds like egrets coming home to roost in the trees. An hour or two after sundown, fireflies gather in the trees and glitter like lights on the holiday tree. Even the clear waters shimmer with the otherworldly glow of bioluminiscent organisms. a magical experience really. At dawn, the birds fly out in droves and the Iwahig river assumes a still, mirror-like quality. We paddled starting from the over 200-year old Acacia tree and traced the twisting river all the way to Honda Bay. I thought I wouldn't mind kayaking here and enjoying the peaceful hours of the morning. INFO:I wahig is located over 20 kms. away from city proper • travel time: around 1 hour via 4x4 vehicle • fees: Php600/boat for afternoon cruise, inclusive of snacks and guide. an additional Php150 is charged for buffet dinner • UGONG ROCK CAVE EXPLORATION - one usually descends into caves but the one in ugong is scaled up instead. Entering into a labyrinthine hall, one encounters stalactites that make a kind of howling sound (ugong in the vernacular) when tapped. There are tight squeezes coming up, with very small openings that require a bit of gymnastic contortions and bending. There are also portions that require scaling by rope but the guides were well-prepared with helmets, torches, gloves, and a ready helping hand. Happy Easter bai! Nag palawan ka pala? Tuloy ka sa trip mo overseas? ei bai, yep, this was for seair inflight magazine. kababalik ko lang from myanmar over the weekend :D happy easter! galing nito oggie. 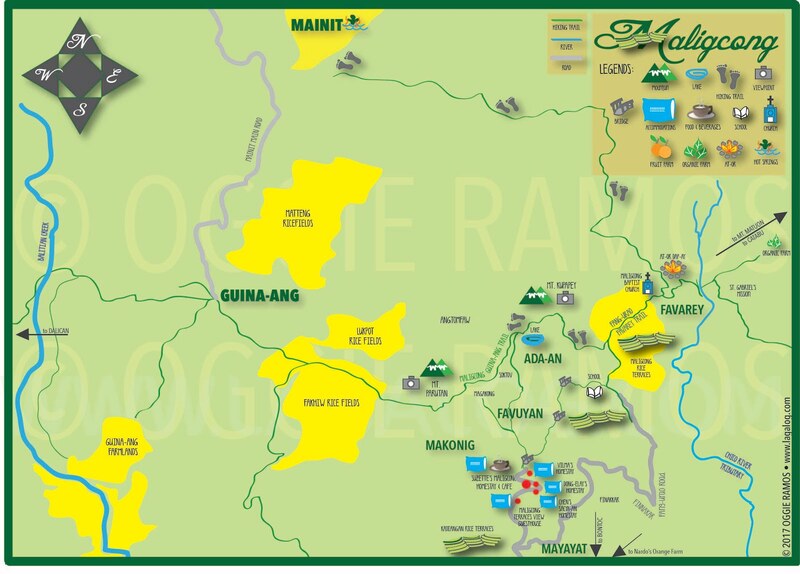 knowing that more ecotour sites are being developed and im sure they considered the factor of not degrading the environment. this post ill take note by the time i visit palawan. 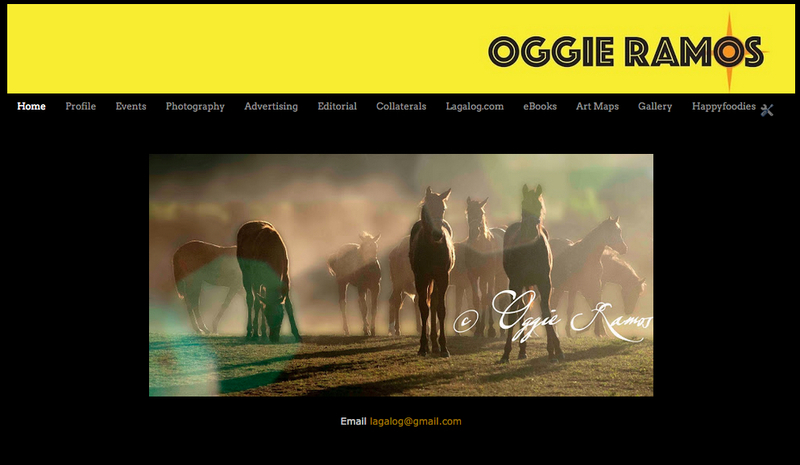 i believe you're among the first to feature about this in the blogosphere. galing ka palang myanmar. we will look forward to that. ei dom, thanks and happy easter. i was privileged to have a preview of these ecotours. nasa calendar of activities na ni mayor hagedorn ang promotion nito. amazing pictures and vivid descriptions! inviting tuloy! i went to Puerto Princesa only once to see the underground river with the japanese consultants we have during that time. I am glad to have experience the wonder of that place although wala ako masyadong pictures na nakuha. I agree, there are more "hidden" gems in Palawan but now that these are in the open, let's hope that these will remain protected and free from the onslaught of over-development. Shame on me... I never visited Palawan... your post about Palawan make me turn green...of envy! Great pictures! I visited Manila Bay and it was amazing I bet Palawan is great too!Can't wait to go there!